The Doha Institute for Graduate Studies (DI), an independent institute for learning and research in the fields of Social Sciences, Humanities, and Public Administration, is being established in Doha, Qatar by the Arab Center for Research and Policy Studies (ACRPS). The DI includes the School of Social Sciences and Humanities, the School of Public Administration and Policy, and the Doha Historical Dictionary of the Arabic Language. The DI is anticipated to launch its first academic year in the Fall semester of 2015. This website will be updated frequently to reflect the project’s progress. Its aim is to update prospective faculty and students of project developments as well as elicit collaboration from interested individuals and organizations. The preparatory groundwork for the DI covering several key areas has been on-going since early 2012, through the work of the project team and a growing network of experts and consultants. Curricula and course structures have been designed for eight Master’s programs at the School of Social Sciences and Humanities, and two at the School of Public Administration and Policy. Built into these curricula is a teaching philosophy based on interactive teaching and learning platforms that include formal lectures, assigned readings, small group discussions led by student presentations, independent student research, and professor-student discussions of written essays in tutorials of four or less participants. All curricula combine a cross-disciplinary approach with in-depth, specialized knowledge. Following extensive research, the institutional, academic, and administrative governance of the DI is being carefully designed and documented. This includes a comprehensive organizational structure, an outline of each academic and administrative unit’s mandate, and bylaws, policies and procedures for areas ranging from institutional to academic governance. Additionally, frameworks and strategies for communications, outreach, and recruitment have been finalized, and a comprehensive IT strategy has been devised to suit the DI’s requirements. The architectural and engineering designs for the DI’s expansive campus have been completed with groundbreaking set for late 2013 and the official opening in June 2015; two months before the start of the academic year. 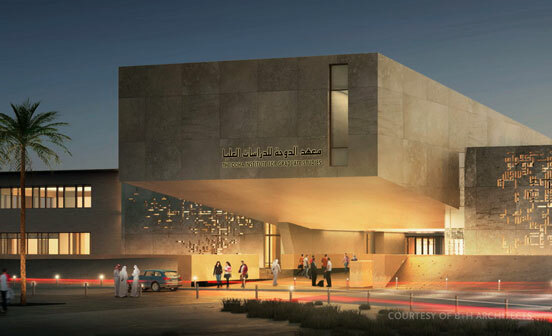 The Doha Institute Campus was designed to reflect the mission and academic ethos which has guided the development of the academic and administrative components of the project. The campus is the stage for research, learning and teaching, while also providing a distinctive space which draws upon the rich history of art and architecture in the Arab region. Campus buildings are integrated through pedestrian walkways, bridges or other connectors, and several outdoor courtyards, gardens and spaces are specifically designed to stimulate faculty-student interaction, discussion, and debate. Spanning an area of 110,000 square meters, the campus houses the administrative, academic, and social functions of the DI and also includes on-site student and faculty housing. The academic and administrative spaces include the graduate Schools, the ACRPS, the premises of the Doha Dictionary project, an extensive library, and administration and faculty offices. The campus also offers social, retail and leisure spaces, featuring a restaurant and sports facilities, student clubs and spaces for religious worship. The design was also responsive to its local climate wherein solar orientation, the sourcing of materials and water consumption became critical issues. As such, the project will be designed to QSAS green building standards. Amazing design, hope it is u/c. Qatar’s newest university is preparing to welcome its first students this fall, officials have announced. When it does, the Doha Institute for Graduate Studies will be one of the few academic institutions in the region to offer graduate-level research in social sciences, humanities, law, media and public administration. 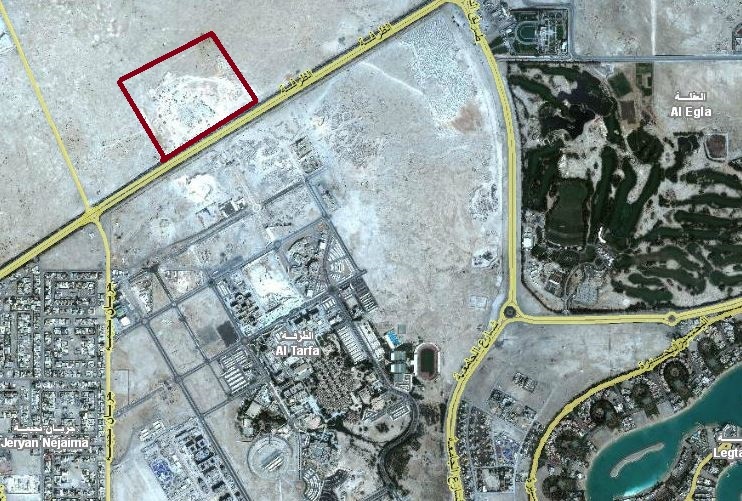 A new campus is under construction north of Qatar University, and the school is planning to move into its first administration and teaching buildings this summer to prepare for its inaugural academic year. Eventually, it will be home to a 450-seat auditorium adjacent to a lecture hall, seminar rooms and a library with up to 150,000 printed and electronic books, journals, magazines. Plans for the 100,000-square-meter campus also include student and faculty accommodations, a health clinic, child care center, cafeteria and fitness center. The university will have two faculties: a school of social sciences and humanities, as well as a school of public administration and development economics. It will initially offer 10 two-year masters degrees, including in history, Arabic language and linguistics, media and cultural studies, philosophy and others.